You’ll want to mark this date on your calendar. After releasing a small batch earlier this season, the time has now come for the OFFICIAL RELEASE of Cerealiously (Count Chocula). This particular version of our Cerealiously series is packed full of childhood favorite Halloween cereal, Count Chocula, and has subtle hints of childhood memories and Saturday cartoons. It’ll be available on draft and available in 750ml bottles ($10/btl). NO GROWLERS. If you ask you’ll receive our best eye roll and a stern “NOPE,” so don’t. Beautiful leaves, football season, baseball playoffs, relief from the hot summer temperatures (which in turn brings out oversized sweaters, infinity scarves, and leggings), AND of course, pumpkin beers. This year we’ve whipped up a new recipe that’ll bring all of your favorite Fall things together in one glass. #PSL will be a Pumpkin Spice Lager, and pairs perfectly with all Fall has to offer including, the previously mentioned things, plus Instagram photos and hashtags. Post it to your social medias (Facebook, Instagram, Twitter, etc.) in a CREATIVE way using the hashtags #PSL and #BlackBottleBrewery, and you MUST tag us as well. Show a server/bartender at BLACK BOTTLE BREWERY during your visit, or on your next trip in to Black Bottle between 10/29/15 and 11/5/15. *CAN ONLY BE REDEEMED AT BLACK BOTTLE BREWERY. You’ve probably been to a keg race before and know the deal but in case you don’t…. Smiles & High Fives duh! Tapping and Pint Night – You know the deal. Thank you Veteran’s and those that serve! Black Bottle would like to show our gratitude to those who have served and continue to serve, both past and present. Your dedication to keeping the United States and it’s citizens safe throughout the years is greatly appreciated. Please stop by Black Bottle on Wednesday, November 11th and enjoy a BBB beer on us. Just present your military ID to your bartender or server and we’ll take care of your first beer. Thank you again for all you do for this country! Join us for a Stoli Mule! Just because the summer weather has left us for the next few months doesn’t mean that a Moscow Mule made with Stolichnaya Vodka will be any less refreshing. Don’t know what a Moscow Mule is? Let us explain. First you need a copper mug, or at least that is the preferred glassware to serve it in. Fill your mug or chosen drinking vessel with ice. Then, pour a generous amount (1.5oz is typical if you’re following a recipe) of Stolichnaya vodka into vessel. Add a splash of fresh squeezed lime juice, and then fill copper mug up the rest of the way with ginger beer. Garnish rim of mug with a fresh slice of lime. Pick up mug, place mug to lips, and enjoy. New Belgium is coming to visit! Our friends from across town are stopping by this Friday with some deliciousness! Cruise on by and have one for lunch, happy hour, dinner, or as a night cap! Great Divide is in the house! Might we suggest hanging out with us….? We’ll have the game on PLUS, specials (this means lower prices, saving you money) on select Great Divide Brewing Company beers! Oh, and if you’re lucky, you might just get your hands on a some of their cool swag (merch, gear, clothes, stuff, whatever you want to call it, etc.). Come hang out and cheer the Broncos on to a victory! Help us keep our streak alive! Fort Collins Brewery has agreed to a friendly race this December and we’ll need your help if we are going to win. The rules are simple really, just show up purchase a cup ($12/ea), enjoy all you can drink until the BBB and FCB kegs have kicked, and have a chance to win a few prizes while you’re at it. See its easy. What: $12/cup for ALL YOU CAN DRINK ‪#‎BlackBottleBrewery‬ and ‪#‎FCB‬ beers until the kegs kick! Raffle drawings and prizes to be given out throughout the night. 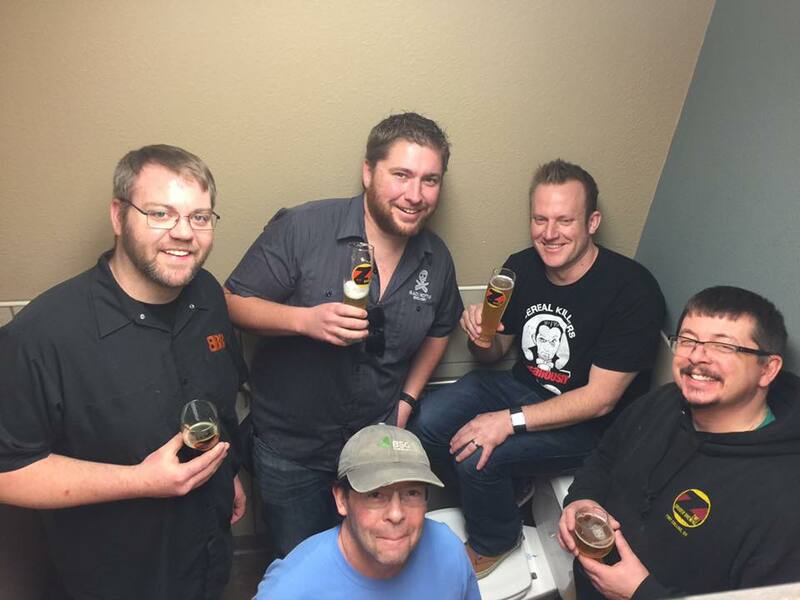 What happens when you get 5 GABF medal winners together in one place? On Saturday, December 5th, we’ll be hosting a friendly little keg race between a few of the local GABF medalists at BBB. We invited Fort Collins Brewery, Weldwerks Brewing Co., Wiley Roots Brewing Co., and Left Hand Brewing Company, to bring their 2015 medal winners to our home court for a good ol’ fashioned showdown. We’ve hosted keg races before, but never have we faced off against 4 other medal winning beers, so this could get interesting! Prizes: We’ll be giving out raffle prizes and specialty prizes when each keg (1/6bbl) kicks. Soooooo….. Scrounge up $12 and come drink all the Friar Chuck (hint hint!) you can handle! We have invited Elevation Beer Co. and Telluride Brewing Co. in for a visit on December 14th. They’ll be taking over a few of our taps with a couple of their tasty beers, including their collaboration, Bridging the Divide, an Imperial Brown Ale aged in bourbon barrels. THE PERFECT POUR is in on the action too! When you purchase any Elevation Beer Co. or Telluride Brewing Co. packaged beer from The Perfect Pour you will receive a coupon for $1 OFF any Elevation or Telluride draft beer at Black Bottle Brewery. Offer valid for limited time only, while supplies last. You will find The Perfect Pour located in the shopping center just south east of Black Bottle Brewery, aka just to the south of Chuck E Cheese. Also, below is their address. We are taking over all of our own taps again for our 3rd year anniversary party. Friar | Scuba | Floozy | Ginger | Static Age | Liquid Metal | The Last Unicorn | ShhhShhShhShhh | Anarchy Porter | Hops & Lambic | Bock to the Future | Pork Chops | Mom, the Meatloaf! | Aviation Cocktail | London Dungeon | Sparkles, Shimmers, Shines | Strange Light | Dark Ritual | Roll Down the Windows Dad | There Went the Neighborhood | Reign in Blood | Give Me A Kiss Pumpkin | #PSL | Cerealiously – Count Chocula | Angry Elf 2015 | Hipster| Carlos | End of Days | Pomegranate Kolsch | Chocolate Chuck | London Gentleman | Bark Twice if you’re in Milwaukee | Thug Life | Bugger Off | Youth Brigade | Wood Chuck | Barrio | Built to Spill | Random Hero | …..???? Holiday Gift Cards | Buy $100, get $15 fo’ FREE! We are currently offering our Holiday Gift Card Promo, now through December 31st. For every $100 worth of gift cards you purchase, we’ll give you a $15 gift card FO’ FREE! Stop by the brewery and knock out some of your holiday gift shopping with a couple of these gift cards, and you’ll score yourself some plastic $$$ to spend on yourself. Or, you can purchase them online from our MERCH PAGE. Here you can select them in denominations of $10, $20, $25, $50, or $100. And YES, we will honor the promo with your online purchase. Your beer lovers favorite gift! Choice City is turning 12! We teamed up with Choice City Butcher & Deli a little bit ago to brew up a beer in honor of their 12th birthday, and now it’s just about time to release it. The Belgian Quad has been resting in two different barrels, one whiskey barrel and one red wine barrel, for the last few months. We’ve now emptied the barrels and combined the two together, creating one big bad Quad named “twelve”. The 12th anniversary party will be taking place at Choice City Butcher and Deli on February 17th from 6pm-9pm. They’ll be tapping “twelve” (and many other tasty beers) and having food and beer specials all night. It’ll be a packed house for sure so we’d suggest showing up sooner than later to get in on the action. You won’t want to miss out on this party, Choice City knows how to throw down. PS: We’ll be tapping “twelve” at Black Bottle on February 19th. “A Brazilian Times Better”, a collaboration brewed just for Screamin Peach’s 10th Anniversary. Though you may have imagined this group would’ve gone with a recipe that included peaches, they in fact wanted to do the exact opposite. Instead, this anniversary collab used a wheat beer base, then we threw in some pineapple and chocolate to finish it all off. Some of you may be disappointed in the lack of peaches but don’t knock this one until you try it. The Screamin Peach fam will be celebrating their 10th Anniversary at The Mayor of Old Town on February 17th starting at 6pm. You’ll be able to get your first crack at tasting collaboration brew “A Brazilian Times Better”. This group works hard to keep Fort Collins looking good so show up and help celebrate their b-day! Congrats on turning the big 1-0! PS: We’ll be tapping “A Brazilian Times Better” at BBB on February 19th. Meet us at the West End! Stop by West End Tap House and say what’s up to us and some of our friends from Ska Brewing Co. and Lefthand Brewing Co. as we take over their taps and wreak some havoc. Spend your extra night/day of 2016 with us at The Mainline Ale House! We’ll be taking over 4 of their taps at 6pm to celebrate the special day that only occurs once every four years. Come by and grab a bite to eat and have a Black Bottle beer (or two) and enjoy your chance at an extra night out. Join us (BBB) and Ted from Moe’s Original BBQ for a night of mouthwatering BBQ and tasty Black Bottle beers! Join us next week for the release of our latest version of Cerealiously! Our series which uses a milk stout base, has spent over a week in the fermentor with the 30+ lbs. of French Toast Crunch and we feel it is ready. Currently sitting in brite tank #4, Cerealiously FTC will be ready to be kegged off early Monday morning. Timing couldn’t be better as we are about ready to launch our Cerealiously March Madness bracket challenge here in the next week as well. Stay tuned to Facebook and our What’s Up!? page for your chance to win a $100 or $50 BBB gift card! Mini Tap Takeover @ Three Four Beer Co.
A little something for your Wednesday night! Our friends over at Three Four Beer Co. have invited us over to take over a few of their taps for the evening, and you should join. If you haven’t been over there yet, you’re missing out. It’s unlike other places you’ll find in the Campus West area, offering up some spectacular beers on draft and their booze offerings are kickass too. We’ll be giving out some BBB swag to the first few visitors, so you best make your way there to check out the place and have a beer. Enjoy samples from 15 Colorado breweries paired with gourmet small plates. Brought to you by the Colorado State University Alumni Association and the Fort Collins Ram Network. it’s your turn to help us pick what’s next! We’ve set up a bracket (which will be release shortly) for some Cerealious(ly) competition and we need your help. Skipping through the craziness of 64 teams (cereals) we’ve cut the field down to eight (8) and placed them in a tournament bracket. Throughout March we’ll be posting polls to our Facebook page with different cereal match ups for all of our fans to vote on. You’ll have the chance to vote for your favorite cereal to advance on to the next round and help us select the next cereal used in the Cerealiously. You can fill out a bracket (similar to that of the NCAA Tournament) for a chance to win either a $100 or $50 Black Bottle Brewery gift card. All you have to do is earn the most points with your correct selections in the bracket. Winning cereals will be chosen by the polls on Facebook and your brackets destiny, and the beer’s, is in the hands of those who vote. Pay close attention to our Facebook during the month of March for the latest polls and results. The real St. Patty’s Day is finally here. We’ll be taking over a few taps up in Wyoming at Tusker Bar to help them celebrate St. Patrick’s Day! Collaboration Fest is entering its third year in 2016. The first year of the festival boasted over 20 collaborative beer projects with contributors from as far away as Sweden providing limited edition, exclusive brews. The second annual Collaboration Fest expanded not only in size, but number of beer projects and types of collaboration. Don’t miss this one of a kind festival! We took a field trip down the road to Zwei a few weeks back to brew up a collaboration beer, an American premium light lager to be exact. Work was done, beer was brewed, pics/videos were taken, and of course a few beers were had. Now we get to reap the rewards, and so do you. Join us on Saturday, March 19th for the first tapping of A-maize-ing Grace, an American premium lager brewed with corn. So clean and refreshing, you’ll never want to touch another beechwood aged beer again. Big Choice Brewing down in Broomfield had us over for a collaboration brew day at the end of February and the final product is ready. This orange chocolate cream ale tastes very similar to one the best popsicles ever made, the creamsicle. We’ll be tapping this collab on Saturday, March 19th at 11am. This time we are taking on Big Choice Brewing at Three Four Beer Co. Come try to win some swag while drinking awesome beer and help us kick our keg first so we win! NBB is bringing some goodies. Stop by for some of your favorite New Belgium sours. We’ll be tapping them at 11am so feel free to come in and have one with lunch, and then again when you’re ready for dinner. Beer Release: Sour beer alert! What you’ve all been asking for. We’ve read your comment cards and heard your pleas around the brewery, and we are now able to give you what you’ve been asking for. On Thursday, April 7th we’ll be tapping two brand new sour beers just for you! If you were paying attention to our Instagram feed you may have noticed a post of us moving barrels around downstairs… Well we emptied a few and filled a few that day so we’ve got some goodies to share with you, Tropical Chicken and I’ll Sais It’s On. Tropical Chicken, a soured Floozy, is brand new. I’ll Sais It’s On is back for it’s 4th/5th/6th/7th edition (can’t remember how many times we’ve made it), and it is a wine barrel aged saison. So, now all you have to do is wait one more week and we’ll have a few sours of our own for you to enjoy. Beer and fried bull balls for a good cause. We’ll be donating a keg to the 30th Annual Nut Fry for the Association of Bovine Practitioners. This fundraising event helps cover some of the costs for hands-on educational experiences, field trips, and more. There will be a silent and live auction, music and dinner. To be held at the Drake Center in Fort Collins. We haven’t quite caught a fly with chopsticks, but we have created a tasty beer. Mr. Miyagi is an American Karate Rice Ale brewed with 80% rice and 20% barley. This karate chopping session ale is easy drinking and very smooth just like Daniel San. 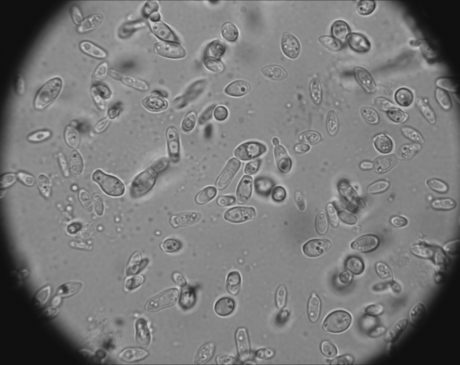 It has a nice blend of sake and ale yeasts and was then dry hopped with Equinox hops. Mini Tap Takeover with Melvin Brewing Co. The Melvin crew will be stopping by with an undisclosed amout of their kickass beers, and we’ll be playing Wu Tang until the sun comes up. Stay tuned as the event gets closer for more details. No missiles were actually involved during the process of creating this beer. Cuban Missile Crisis is an Imperial Rotgut Bourbon Barrel Stout. This one has been sitting in Breckenridge Bourbon Barrels for some 3.5 years and it finally got to where we want it to be. To cut the residual sweetness we blended it with a little bit of our house black lager and it now rests at a cool 18% ABV. Please be sure to sign our waiver before drinking. GoT Season 6 is finally here! In honor of the new season beginning we decided to get a hold of Ommegang’s Game of Thrones Seven Kingdoms. This hoppy wheat ale is a combination of a traditional Belgian-style wheat and a hop-forward American ale. Come enjoy a glass or two of the refreshingly citrusy, yet hop forward beer before you sink yourself into your couch for the premier! The Laureate Publick House is hosting us on Tuesday, April 26th from 5pm to 6pm. Stop by, say hi, and drink a Black Bottle beer with us! Giving away swag for days! Stop by this Friday for our Delirium promo night, where we’ll be giving out tons of awesome swag. We’ll be tapping Delirium Tremens (Belgian Strong Pale Ale) and Delirium Argentum (Belgian IPA) and with the purchase of one of these fine beers we’ll give you a piece of swag. We’re not just talking about some stickers or coasters, we’ve got glassware, beach balls, flip flops, sunglasses, hats, a fleece blanket and more awesome shhhtuff! May the for…. Nah we’re not gonna say it. Join us at The Whiskey for the Screaming For Vengeance Release Party at 6pm! Static Age, our breakfast stout, took a little detour and ended up in a Buffalo Trace Whiskey barrel for 18 months. Now, its Screaming For Vengeance. Available exclusively at The Whisk(e)y in Fort Collins. Won’t be around long, so it’d be wise to get in there sooner than later to try it! Cinco de Mayo @ Crowbar & Grill! May 5th is around the corner and it’s time for the annual release of La Migra, our agave wheat, and tequila and margs are overrated. That being said…. We’re sending some La Migra up to Crowbar & Grill in Wyoming just in time for their Cinco de Mayo celebration! Soooo you should probably plan on making your way over there. Have a La Migra, or you could try one of the other four beers (Ginger, Friar Chuck, Scuba Steve, and There Goes the Neighborhood) we are taking up there. We’ll be giving some swag away with the purchase of a Black Bottle beers as well, just in case you needed a little extra incentive to come enjoy one of our beers. Boulder based Upslope Brewing Company will be stopping by this Saturday for a special pint night! We’ll be tapping their Belgian Pale Ale, Imperial India Pale Ale, and a Raspberry Belgian Pale. Stop by at 5pm to try one, or all three, of their beers and get yourself an Upslope pint glass (While supplies last). We released Screaming For Vengeance last week at The Whiskey, and now we’re tapping it at our joint! We only have a little bit of this barrel-aged (Buffalo Trace) oatmeal stout, so you should get your fill sooner than later. Our good friend, Megan, from Elevation will be in the house to showcase all of Elevation’s awesome beer! EPIC will also be in there serving up some beer and giving away pint glasses and prizes to a few lucky patrons. We’ll be offering up a few of their beers, and the best news is it’s all you can drink for $15! You could quite possibly walk out of here with an Elevation or EPIC glass if you’re lucky, and maybe even a bigger prize if you kick one of their two kegs. Again, $15 ALL YOU CAN DRINK Elevation and EPIC beers, until we close or until it is gone. We’re having a good old fashioned cellar party and busting out some things we’ve had sitting around for a rainy (or sunny) day, plus a few things that haven’t been sitting around for too long. Either way it’ll be a good night to be around Black Bottle at 5pm. Come help us drink our cellar! This premiere event is for brewers, beer lovers and family and will have an emphasis on beer tasting, education, and brewers telling the stories of their journey into the craft beer industry. Ninkasi Brewing will be joining us for a mini tap take over! Based in Eugene, OR, they know a thing or two about beer and hops. Sooooo we decided to bring in a few of their tasty beers so you can enjoy them. Come see what the Eugene beer game is all about! Alright folks, the wait is finally over. Our next batch of Cerealiously is finally ready to release! This batch, packed with our standard 35(ish) pounds of Cap’n Crunch’s Peanut Butter Crunch, will be available on draft at 11AM on Tuesday, May 31st. We’re still sorting out the possibility of bottling a portion of this and we will let you know as soon as we get it figured out. There will be NO GROWLERS filled per usual. Last week we released our latest version of Cerealiously (Cap’n Crunch Peanut Butter Crunch in case you haven’t heard) on draft and now it’s time for bottles to be available. We have 20+ cases of the 750ml bottles ready to be released on Tuesday, June 7th at 11AM. When we released bottles of Cerealiously last time we sold out with in 3 days, just to give you an idea as to how fast they could go this time around. Sierra Nevada Beer Camp Tap Takeover! We were lucky enough to get a hold of all SIX 2016 Beer Camp collaborations and we’ll be hosting a tapping party on Thursday, June 9th at 5PM. Summer is here and Sierra Nevada has put together another series of Beer Camp beers in collaboration with 31 different breweries all over the United States. Collaborating with breweries of the likes of Odell, Melvin, Creature Comforts, Trillium, Lawson’s Finest, and tons more, Sierra Nevada travelled all over to brew with some of the best in the business to create some unique collaborative beers. Aside from the 12-packs at your local beer store, finding all these special beers in one spot will be a challenge, and in Fort Collins we’ll be the only place to have them ALL on tap at one time. Beer Camp Across America, in Fort Collins, CO! Can’t go wrong with a dinner that has lots of meats paired with craft beers. Our mouths are watering as we write this. BBB is in up in the Denver Bike Cafe all month long! You fans down in Denver can enjoy our beers for the month of June. Plus, they’ll be hosting a few awesome events every THURSDAY this month like a tap takeover, a cheese pairing, meet the brewer evening, and more! They’ll have Scuba Steve (American IPA), NunChuck (Imperial Kolsch), There Goes the Neighborhood (Belgian Rye Saison), I Want to Talk to Sampson (Smoked Black IPA), Melon Hipster (IPA with Huell Melon hops), AND Cerealiously: Peanut Butter Crunch. We’re comin’ for you Cheyenne! Beer Release and HTBB2 Party! If you brew (build) it they will come. We’ll be releasing a brand new American IPA, Revolt, Downfall and the Design, brewed with Centennial, Huell Melon and Equinox hops. $1 from every one sold will be donated to Fort Collins Habitat for Humanity’s House That Beer Built 2! Drink beer for a cause! Keg Race @ Blind Pig – BBB vs. Melvin Brewing Co.
We’ve taken some time off and now it’s time for us to get back out there and be somebody. Come help us kill our keg of Friar Chuck and have a chance to win some prizes in the process! Cheyenne, we’re coming your way. We’ll be pouring Friar Chuck, Scuba Steve, There Goes the Neighborhood, and Shameless. 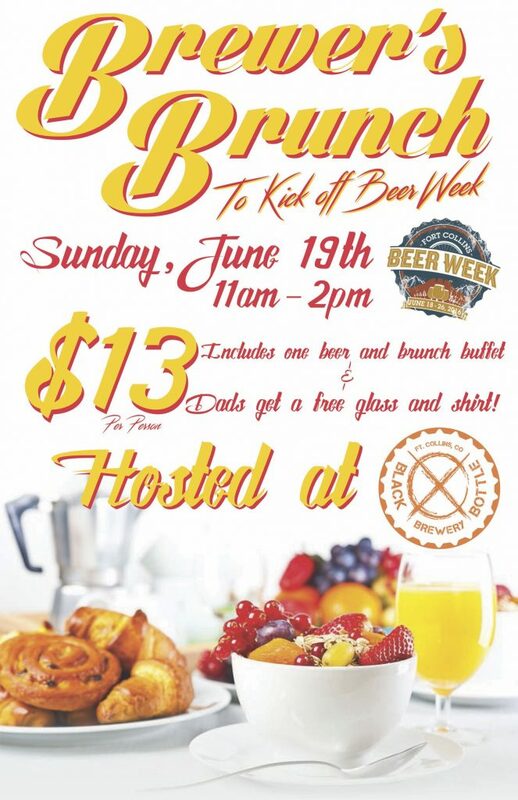 Kick off Father’s Day, and Fort Collins Beer Week, with a little brunch buffet! We’re hosting the Brewer’s Brunch again this year and we’ve got a little something special planned for all of you, especially you dads! Join us bright and early at 11AM, until 2PM, for a tasty brunch buffet and some delicious beer, and swag for dads. From 11AM to 2PM we’ll have a buffet all set up for you to enjoy to your hearts content. Dads – You’ll receive a FoCo Beer week Tee and glass with the purchase of your brunch! Menu… BACON, Canadian BACON, Scrambled eggs, Florentine scramble (Mushrooms, spinach, bell peppers, and hollandaise), Breakfast potatoes, Fruit salad,Toast and Coffee cake, Cereal, and more. $13 gets you bottomless buffet AND one (1) Brew-mosa, Black Bottle Brewery, Pateros Creek Brewing Company, Horse & Dragon Brewing Company, or Snowbank Brewing CO beer. Cider fans, this one’s for you! 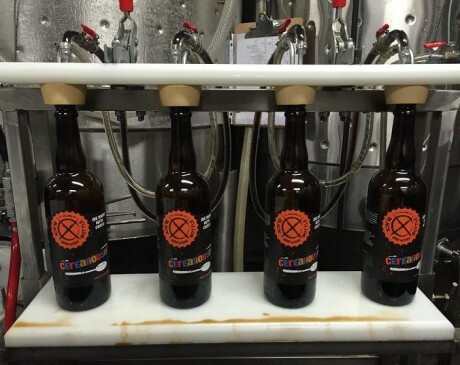 Hailing from Michigan, Starcut Ciders is quickly growing and has finally reached Colorado. We’ve had a few of their ciders in bottles recently and now we are welcoming them on draft. Come by to try their Immortal Jelly (Semi Dry fermented with Michigan apples and a blend of raspberries, blueberries, blackberries, and strawberries) and Pulsar (Semi Dry) on draft, or try their Octorock (Semi Sweet) and Squishy (Semi Sweet with Michigan cherries) in bottles. Start your weekend off right and stop in for our Oskar Blues Brewery and Perrin Brewing Company tap takeover at 6pm! One of our favorite weeks out of the entire year. Sharks all week. We’ll be tapping the 6 different Fat Tire & Friends collabs! Join us, and New Belgium Brewing, at our spot for a little tap takeover with all the collaborations from their Fat Tire and Friends CollaBEERation pack. Per usual, New Belgium will be in the house to chat it up and give out a few goodies to some lucky guests. We’ll be holding a tap takeover at The Suite Bistro at 4PM. If you missed us at our other events over the summer this is the perfect back up plan to enjoy some of our beers! Swing by for the release of our latest 100% Brett IPA, Bandaids Don’t Fix Bullet Holes! 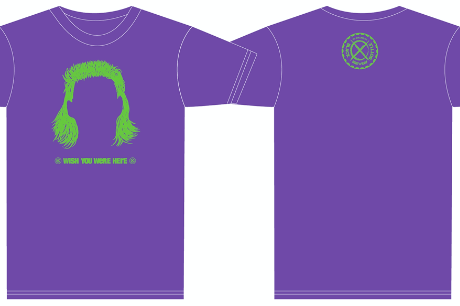 In addition, we’ll also be releasing our new “I Heart Brett” shirts! Anddddd if you purchase a shirt you will get a FREE Bandaids Don’t Fix Bullet Holes!! Offer valid August 6th, 2016 from 11am til close. Check back for photos of the shirt. We’ll post them once we get them in. 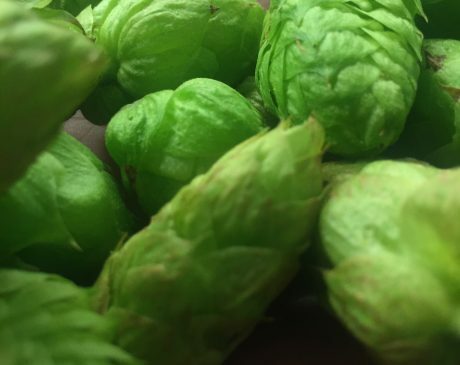 Come try our new fresh hop IPA, Hydroponics, on Saturday, August 13th. Our latest wet hop IPA had over 50lbs of fresh Centennial, Cascade and Chinook hops added to the boil, then dry hopped with more of the same. With the Peach Festival coming up we decided this would be a perfect opportunity to try our hand at making a kettle sour, with peaches, of course. Come get yo’ self an early sneak peek! The beach, in a glass! This our ProAm beer for the 2016 Great American Beer Festival. A coconut mango IPA that’ll make you feel like you were on a beach somewhere. And when you stop drinking it, you’ll be a little disappointed that you’re still just sitting at BBB in Colorado. Millions of peaches, peaches for me (and you)! We’ll be setting up bright and early so all of you peach lovers can come out and enjoy all kinds of peaches, including peach beer! This year we created a kettle sour (using Noose Yoghurt) and added a bunch of peaches to it. Turns out, peach sours are pretty dang good. Hope you have a peachy Saturday! Join us for a farm fresh dinner paired with local craft beers. We”ll be serving up a Bahn Mi (Vietnamese sandwich) as described here: Crispy baguette filled with Colorado brisket and sriracha mayo, topped with pickled carrot, beet, jalapeño, finished off with fresh cucumber and cilantro. To be paired with our Friar Chuck (Kolsch). Yes, we know it’s not Halloween yet. Yeah yeah it’s a little early but we had to get some ready for the Great American Beer Festival so we could enter it in for judging. Sooooo, lucky you! Bottles available for purchase beginning at 11am as well as draft sales. Don’t worry, we’ll be making more in October for Halloween. Beer Release: Bockstreet’s Bock, Alright! We’re releasing our new Dopplebock and singing Backstreet Boys songs all day long. Come join us! So it’s time to bring on the dark beers! 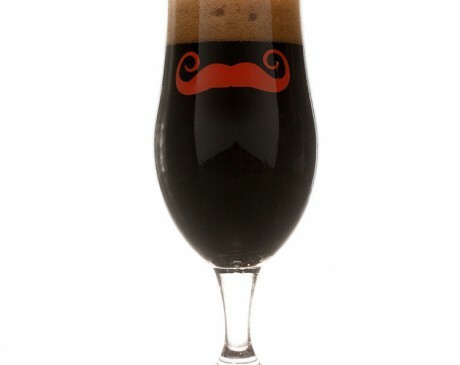 This hazelnutty stout will help ease the pain that comes with the looming cold temps and snow. It’s Riot Fest, we do it every year. We’ll be wreaking some havoc all weekend long. Let us know if you want to join us for some fackin’ awesome music and good times. Sometimes karma can be a real….. This Sour Grapefruit IPA is a real treat. Drinking it doesn’t actually pay for anything, nor does it improve your karma. However, it’ll most likely improve your mood with its delicious flavor. It’s worth a try at least! You’ve got some running (or drinking I suppose ) to do. Join us as we take on Lumpy Ridge in our next race at The Blind Pig (Fort Collins). $12 gets you an “All you can drink cup”, plus the chance to win some great prizes! Come kick it with us at the 8th Annual Fall Harvest Beer Festival at the Lincoln Center in Fort Collins! We’ll be pouring Shushen Ze Mouthen (Oktoberfest) and Static Age (Hazelnut Breakfast Stout). Click HERE for more details. ‘Tis the season, to be German! We’ll be hosting a mini Octoberfest celebraish for those feeling the need to drink some delicious Oktoberfest beers while listening to German music. Per usual, we’ll be serving all Oktoberfest beers in dimple steins and the Boots (for those looking to indulge a bit more) to give you the extra authentic vibe. Our Oktoberfest, Shushen Ze Mouthen, will be making it’s seasonal debut for the occasion. 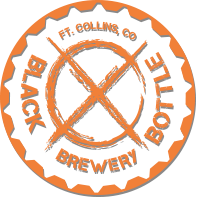 Along side it, we’ll be pouring Oktoberfest beers from Fort Collins Brewery, Odell, and Paulaner, one of the most consumed beers of its kind during Oktoberfest celebrations. Test your strength in our stein hoist @ 7pm for your chance to win some awesome swag from the participating breweries! Need glassware for your home? Short’s Brewing Co Tap Take Over + Joe Short in the house! GABF: When friends visit for a week! Come get your GABF week started off with a meet and greet with Joe Short, the owner of Short’s Brewing Co. We’ll have four Short’s Brewing Co beers on tap, PLUS two Starcut Ciders on draft for you cider fans! Damnnnn Daniel, back at it again! We’re still riding our high from last year’s Bronze medal with Friar Chuck in the Kolsch category but we’ve been working hard to get ready for this year’s GABF. We’ve been waiting a long time to let you have these. Come enjoy them while they last! We only have 1/6bbl of each. A 6 course dinner crafted with local foods by some of Fort Collins’ finest chefs and beers paired from local breweries. Abundant silent auction and live music round out this special evening. We’ll be pairing our Flemish Fury (Dark Saison) with an awesome creation from Music City Hot Chicken! Roasted chicken with bourbon and shaved apple slaw, served with mashed potatoes, Schmaltz gravy, roasted carrots, beets, fennel and heirloom onion. All proceeds benefit The Growing Project. Upslope Brewing Company Pint Night! Join us and our beer friends from Upslope Brewing Company! We’ll be tapping a few of their beers (TBD) and giving out pints and swag with purchase! Join us at Wapiti Colorado Pub Loveland for a five (5) Course beer dinner! The social beer starts at 5:30pm and dinner starts at 6:00pm. You’ll want to be on time for sure so you don’t miss anything. Take a look at the menu and we bet your mouth will start watering instantly. Give Wapita a call (970-635-1985) and reserve your seat today! For the very first time, we got our hands on a few kegs from 21st Amendment Brewery based in California. Come in and try these awesome beers from one of our favorite California breweries! On another note… We have brewed our next batch of Cerealiously Count Chocula and we’re hoping it’ll be done in time to be tapped on October 31st. Become a Blacklisted member (it’s a good thing, trust us) by purchasing a membership BEGINNING NOVEMBER 1st, 2016, and receive awesome benefits at Black Bottle! Sale of membership will stop on January 1st, 2017. The best, worst time of the year. Fundraiser: Help us, help Torin, fight cancer! On Thursday, November 17th we’ll be donating $2 from every Static Age (our Hazelnut Breakfast Stout) sold! Winter beer festival… Why not! Get your December started off right, with some dark seasonals. We’ll be pouring Static Age and our Scuba Steve. We’ll be pulling from our cellar per usual. More details to come. Beer and Ice Cream Pairing! I scream, you scream, we all scream for…..
Join us from 6-8PM at Illegal Pete’s (Fort Collins) as we pair four of our beers with some locally made ice cream from Walrus Ice Cream. Beers to be used in the pairing are, Karma Payment Plan (Grapefruit Sour), Honey Hibiscus There Goes The Neighborhood (Saison), Static Age (Hazelnut Breakfast Stout), and Tele-porter (Nutella Porter). Join us for dinner and beers! This Friday, December 16th @ 6:30PM we’ll be stopping in to The Mainline to take over SIX of their taps. Come by for a quick beer and to say hi, or stick around and have dinner (their menu is amazing! ), either way we’ll be here to chat about Black Bottle and maybe even buy you a beer in exchange for good conversation. Here’s a look at what we are tapping that evening: Honey Hibiscus There Goes The Neighborhood (Rye Saison), Barrel-aged Death From Above (Red wine and Bourbon barrel aged Schwarzbier), Tripel (Belgian Tripel – 2016 GABF Silver Medal Winner! ), Bockstreet’s Bock, Alright! (Dopplebock), Friar Chuck (Kolsch – 2015 GABF Bronze Medal Winner! ), and Tele-porter (Nutella Porter). Merry Christmas! Sorry, we’re closed. We’ll be closed to spend time with our closest friends and family. Stop in on December 24th between the hours of 11am and 3pm to fill your growlers for the Holiday. Back to normal hours on December 26th. Buy $50 in gift cards, get $10 gift card fo’ FREE! Now, through December 31st, 2016, only! For every $50 purchased in gift cards, we’ll toss in a FREE $10 gift card on the house! Spend it on yourself or give it away to someone who will enjoy the free money you received. Like Mullets? How about a free beer!? Well…. Between January 23rd and January 29th, you’ll get a FREE Kentucky Waterfall (a 14oz pour of our Belgian Blonde) when you purchase one of our new Mullet T-shirts! They’re tapping Bockstreet’s Bock, Alright!, Tripel, and Scuba Steve. 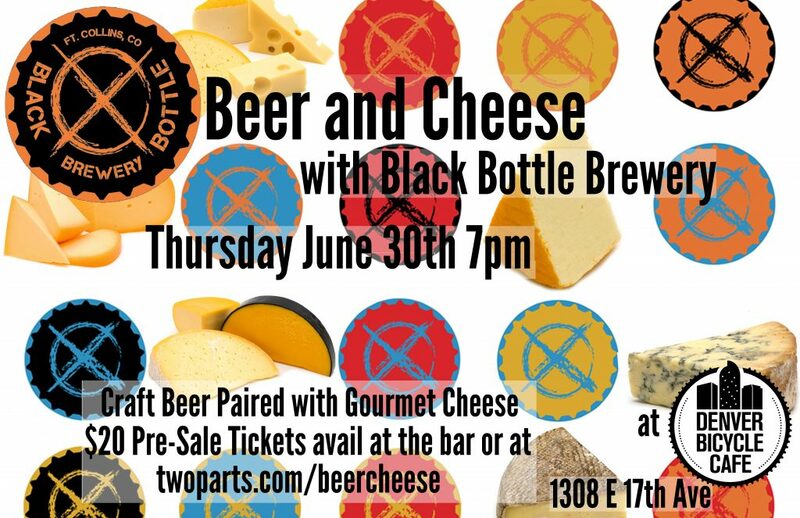 All Black Bottle beers will be $2 OFF from 6pm to 8pm, plus you might get yourself a little BBB swag if you’re lucky. There will also be live music provided by Mike OConnell music. Here are your perfect (Pre)Valentine’s Day plans! Skip the madness of going out on Valentine’s Day and celebrate with us on February 10th instead at The Mainline Ale House. A four course menu paired that features FIVE of our beers, sounds like a pretty good Friday night to us! Click here to visit our Facebook event page to view the full menu and pairings. Your Valentine’s Day plans are all right here! We’re releasing a new chocolate bock, Scrumdiddlyumptious Bock, and giving out a FREE dessert sampler trio with the purchase of any BBB beer. Oh and we’ll have a silent auction starting at 4pm that will benefit Foco Cafe! Closed for Staff Christmas Party! Sorry, we’re not that sorry. We’ve made it through the holidays and it’s time for us to take a break and party/relax for a day. Back to normal hours on 2/21. Come get firkin weird with us! 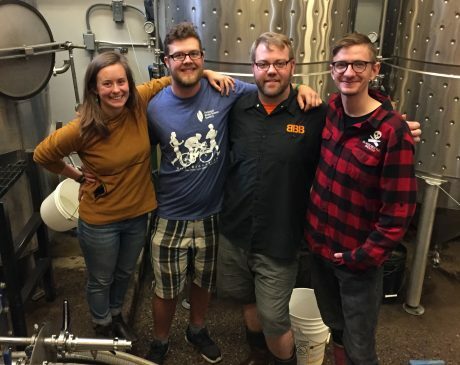 We’ll be heading to The Garden Room with a recent creation called “High Country Collusion”, a special collab we brewed with Devin from High Country Beverage. It’s a Kellerbier, a German style unfiltered lager traditionally served out of a cask. Come join us on the roof of 14 (Denver) for Rockies Opening Day 2017, they’ll be pouring purple Friar Chuck in honor of the celebration 🙂 We’ll be kickin’ it with Platte Park Brewing there too! Beer, swag, more beer, and things. Get your Black Bottle fix all April long at Stout Street Social, and join us in the 3rd Thursday of the month (4/20) for a special brewery night. We’ll be in the house with some BBB swag to give away! Kind Dub is throwin’ a party on campus! The crew will be at The Ramskellar from 5pm – 7pm to release our 2nd collaboration brew, Kind Dub Imperial IPA. Come stop in before, during, or after, your classes and have a beer while enjoying some kicka$$ beats! Denver folks this one is for you! Join Kind Dub as they take the stage at Appaloosa Grill, where we’ll be pouring our second collab with them Kind Double IIPA. Oh, and there’s NO COVER!! !